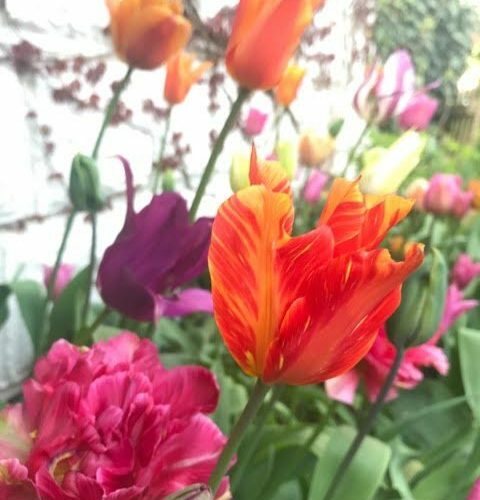 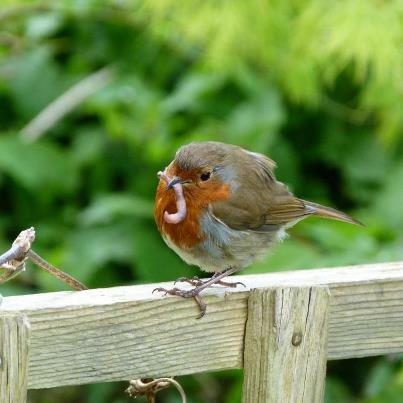 Action shot of Robin by Jacqui. 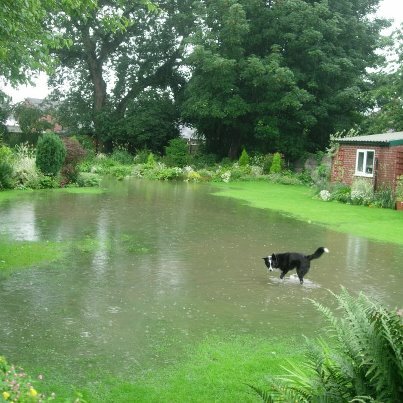 Jill submitted this photo of her dog on a drenched lawn. 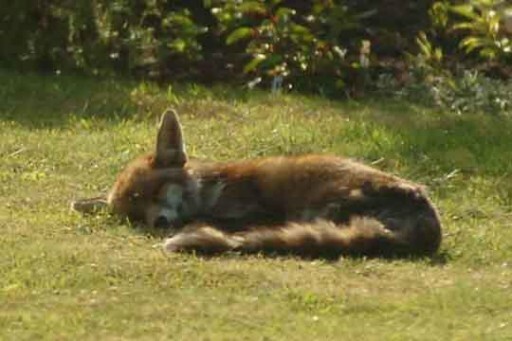 Shirley submitted this photo of a fox resting on a somewhat drier lawn. 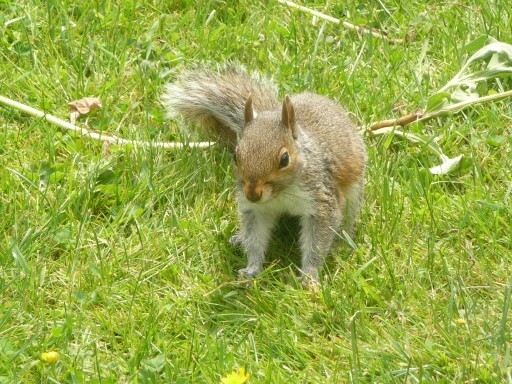 Finally a pesky but cute looking squirrel.